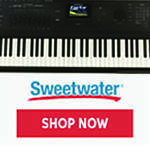 Register Log In Piano World Home Page Forums Piano Forum Can You, Will You Help? A subscribing member helps support the forums. By contributing financially to Piano World and the Piano Forums subscribers show that they appreciate the resources we provide and want us to continue to survive and grow. But Why Do You Need The Money? Perhaps this is a good time for me to explain a little bit more about the Piano World structure. My name is Frank Baxter and I am the founder/host/owner of Piano World. What started as a hobby has become my full time vocation (a decision I made after repeatedly being "downsized" and "outsourced") and a labor of love. 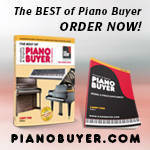 Together with our online store (pianosupplies.com) it is how I support my family. I only point these things out because I occasionally receive nasty comments from people who think I'm not entitled to sell advertising or products on my site. I guess they feel it makes the place too commercial. Or that behind the scenes we are constantly working to improve the forums and the rest of the site, including paying professional programmers? Note: The subscriptions are automatically handled via PayPal. You can opt out at any time. Note that subscriptions are based on monthly payments via PayPal. Payments will be automatically charged each month but you can opt out any time. If you opt out you will be removed from your subscriber group and your icon will be removed, but you will still be a valued member of our community. If you don't already have a PayPal account, don't worry. Opening one is easy, anyone can do it and it is one of the fastest safest ways to do business on the web. Once you've set up a PayPal account (https://www.paypal.com) you never have to give your credit card or checking account information to an online merchant again. Or you can process your subscription through PayPal without opening a paypal account. Because the automated system wasn't working properly (people weren't getting their icons) I've had to go back to putting them up manually, so please bear with me (and feel free to contact me if you don't see your icon in a reasonable amount of time). Please use one of the options above if you'd like to be kind enough to continue to show your support. Don't want to subscribe, but still like to help? 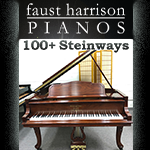 Whichever way you choose to support Piano World please know that your support is most appreciated.